Speculation is heating up in the last few hours before Google’s keynote speech at the 2012 Google I/O event. We’re all expecting details about Jelly Bean, the next version of Android, and the Google Nexus tablet, a $199 device to take on the iPad and Kindle Fire. So far, the Nexus tablet is looking like a Tegra 3 device with a 7” IPS screen, NFC, a front camera, and who knows what else. One thing that’s being speculated is that it’ll lack an SD card slot, which would be somewhat problematic if it does indeed ship with only 8GB of storage at $199. Having used an Android tablet extensively, I’d find an 8GB hard limit difficult to work with. My guess is that it will have an SD card slot, if only because the iPad and Kindle Fire both do not. The ability to expand storage for movies in particular is important, and today’s high-end Tegra games can push 1GB on their own. Without an SD card slot, an 8GB device would be difficult to stomach. We’ll find out in a few hours, and I’ll report back with my thoughts. Here’s to hoping the Google Nexus team knocks our socks off. Update: Well, Google introduced the Nexus 7 the other day, and it’s pretty close to all of the various rumors and predictions leading up to Google I/O. 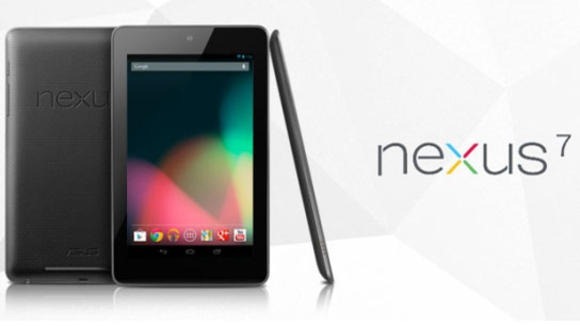 The Nexus 7, as expected, runs Jelly Bean (Android 4.1), has a 7” screen with 1280X800 resolution, a 1.3GHz Tegra 3, 1GB RAM, a front-facing camera, NFC, and a micro-USB port. Relative surprises include a very nice IPS panel for the money (according to reviews, much better than other low-cost Android tablets) and no SD card slot. Perhaps the biggest surprise, however, at least for me, is the phone-like user interface. Apparently Google is patterning the Nexus 7 after the Kindle Fire and Nook tablets in more than just price—the home screens don’t seem to rotate to landscape, and so the tablet is very much intended to be used in portrait. The tablet UI introduced in Honeycomb and refined in Ice Cream Sandwich is nowhere to be seen on the Nexus 7, and we’ll have to see whether that’s a good or a bad thing. So, in fact, my concerns about the 7” format vs. 10.1” formats and how much information is shown on-screen was essentially groundless, because Google abandoned the tablet format completely on the Nexus 7. Overall, initial reviews seem to say the Nexus 7 is the best $200 tablet on the market, and a good Android tablet regardless of price. Mine is preordered, and I’ll be taking a good hard look at how usable the Nexus 7 is with this UI. Maybe the size and weight of the tablet makes it more usable in portrait, which is how its best used for things like ebook reading in any event. At this point, though, I’m reserving judgement until I can get the thing in my hands.